Reissue of the NX-01 in 1:1000 scale. 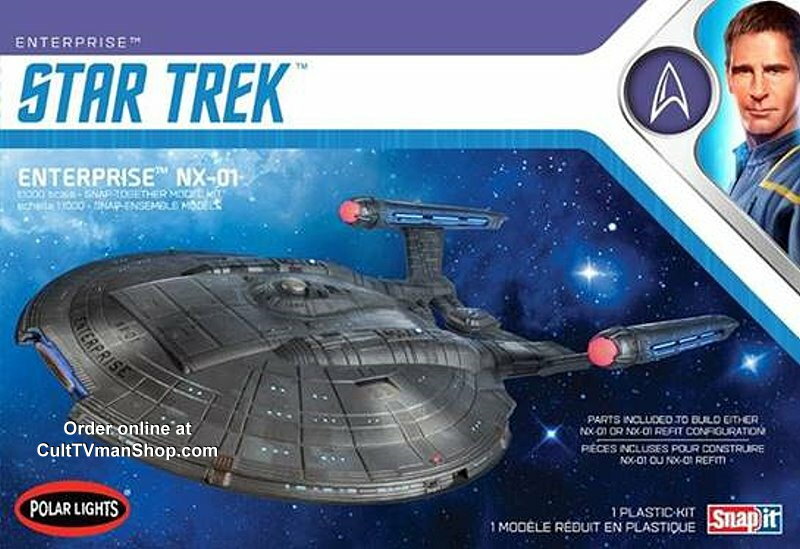 Model can be built as either the NX-01 or the Refit NX-01. Molded in metalic pewter plastic and includes a dome base.